I was really curious to try the Olaplex system, but to my dismay this system, which is supposed to protect hair during bleaching and color treatments, is only available for hair professionals... I heard so many rave reviews on YouTube! But- the good news is: us (unprofessional) consumers can buy now the Olaplex No 3! And what is this? "The No. 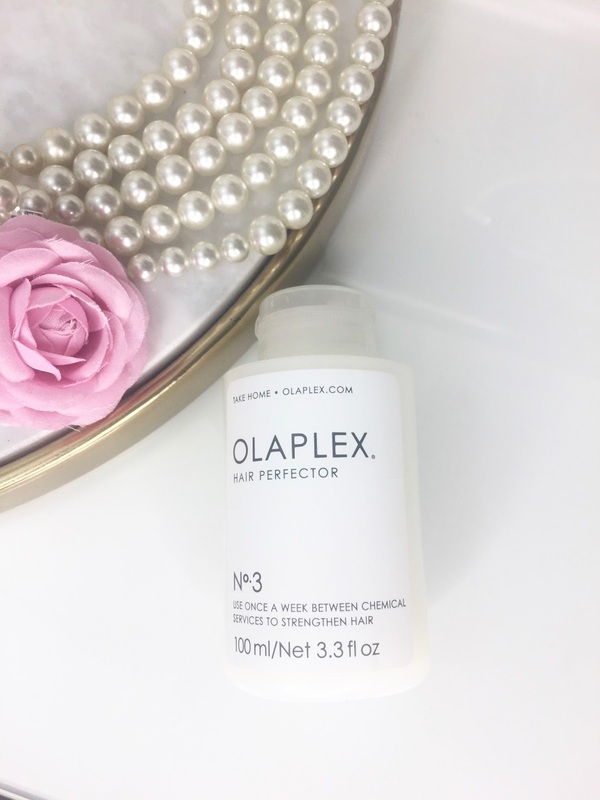 3 Hair Perfector is not a conditioner, it’s an at-home treatment that contains the same active ingredient found in all professional Olaplex products. 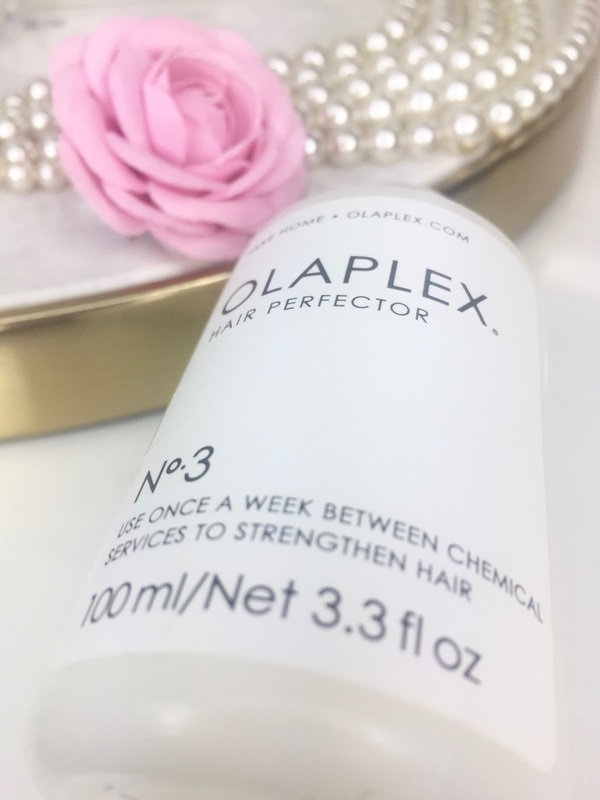 Created by two of the top PhD's in chemistry and materials science, Olaplex products feature first-of-their-kind, patented, bond-building technology, which relinks the broken disulfide bonds caused by chemical, thermal, and mechanical damage to the hair. This formula is made to work with every hair type, providing real, structural repair that works from within." Hm, that sounds promising, doesn´t it? I color-treat my hair every 6-8 weeks and my hair is naturally very dry and coarse. So I am always looking to find a good hair mask to make it more manageable. Without a hair mask or conditioner I could literally not even brush my hair after I washed it! It is a total mess and a conditioner or a hair mask a must. Apparently the magic is the Bis-Aminopropyl Diglycol Dimaleate- an ingredient that Olaplex exclusively patented. "You apply a generous amount from scalp to ends until hair is thoroughly saturated and leave it on for a minimum of 10 minutes (longer if desired). Then you rinse it. Shampoo and condition as usual." I thought it was strange, that the instructions wanted me to first do the Olaplex treatment and then wash and condition my hair? Like why? Why not us this after a shampoo? Wouldn´t the shampoo be counterproductive after the Olaplex treatment? Like first I apply this expensive stuff and then I wash it out? Hah? The Olaxplex feels to me - despite their claim that this is not a conditioner- just like a regular conditioner- it has a light enjoyable scent to it and my hair felt afterwards GREAT! Super soft and shiny! However- I find that I can achieve the same results with many other (more affordable) conditioners. Like I said: I can´t really say if it bonds split ends or repairs other damage, because my hair isn´t split or anything. I can say that my hair feels great with it and it looks very soft. But as already mentioned, this can be achieved with cheaper products too. Fun fact: Olaplex filed (according to this site) a lawsuit in 2016 against Loreal, because Loreal acquired "insider knowledge" about Olaplex when they originally wanted to acquire Olaplex- but the deal fell in the water. 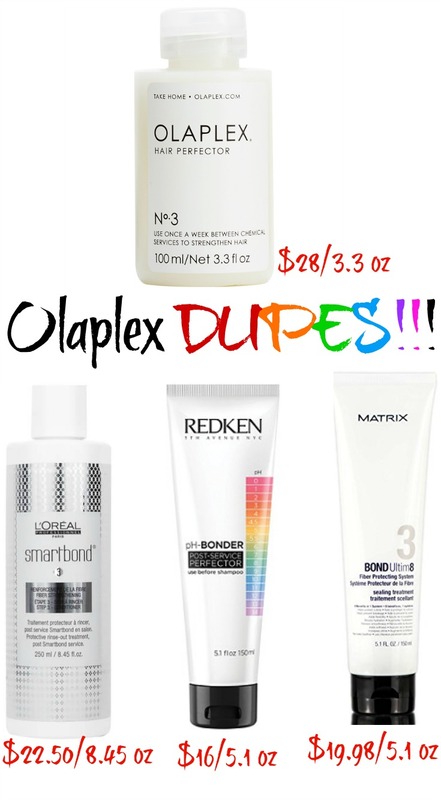 While this is not exactly nice of Loreal, it still provides us with maybe some cheaper dupes for the Olaplex, because at least these contains so much more product than the tiny 3.3 oz that Olaplex offers us. LOL. The L’Oréal products at issue include Matrix Bond Ultim8 ($19.99 for 5.1 oz), Redken pH-Bonder ($16 for 5 oz) and the L’Oréal Professionnel Smartbond ($22.50 for 8.45 oz). 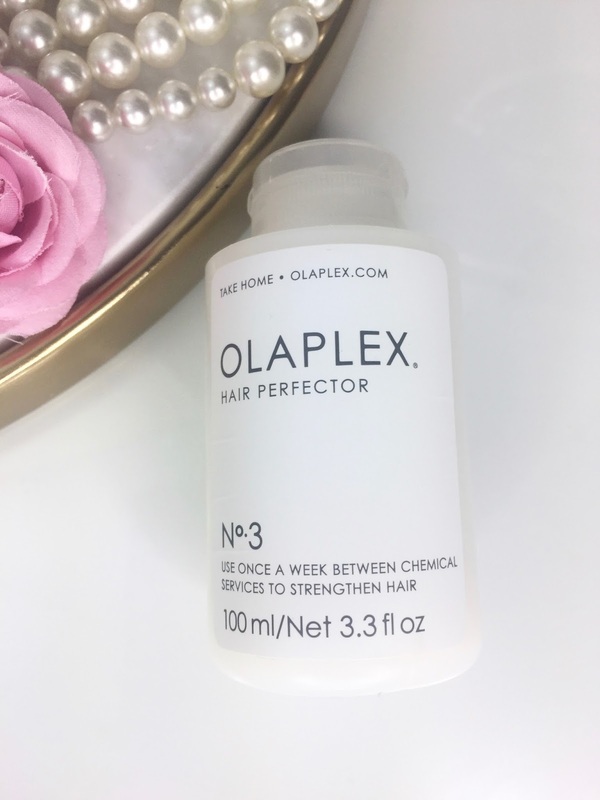 The Olaplex No 3 is a nice conditioner (yeah I know they don´t like to be compared to a conditioner lol) but just really too expensive for the little amount you get ($28 for 3.3 oz!). While I personally have not tried any of the 3 possible alternatives, I personally get the exact same results with the Aloxxi 7 oil conditioner and here you get 33.8 oz for $36! I find that price of the Olaplex ridiculous for the amount of product you get. And no, I don´t believe that the secret ingredient (that is not so much a secret anymore lo) Bis-Aminopropyl Diglycol Dimaleate is that expensive to produce haha.